How can something like this happen in this day and age? No reports on numbers as yet but it can't be good. Good grief ! Only looked at this ,haven't seen the news yet. That's horrendous . "Residents warned repeatedly of fire risk " What on earth is that supposed to mean ? Going to news channel now. If there isn't any loss of life , it will be a miracle. Have a look at this ....it explains my previous question. In November 2016 a residents organisation, Grenfell Action Group, published an article on their website accusing the Royal Borough of Kensington and Chelsea of ignoring health and safety legislation. They accused the council landlord of being an "evil, unprincipled, mini-mafia" and of misconduct regarding voting at annual general meetings. The Group also suggested "the Grenfell Action Group firmly believe that only a catastrophic event will expose the ineptitude and incompetence of our landlord". The group has frequently published articles criticising poor fire safety and maintenance at Grenfell Tower. 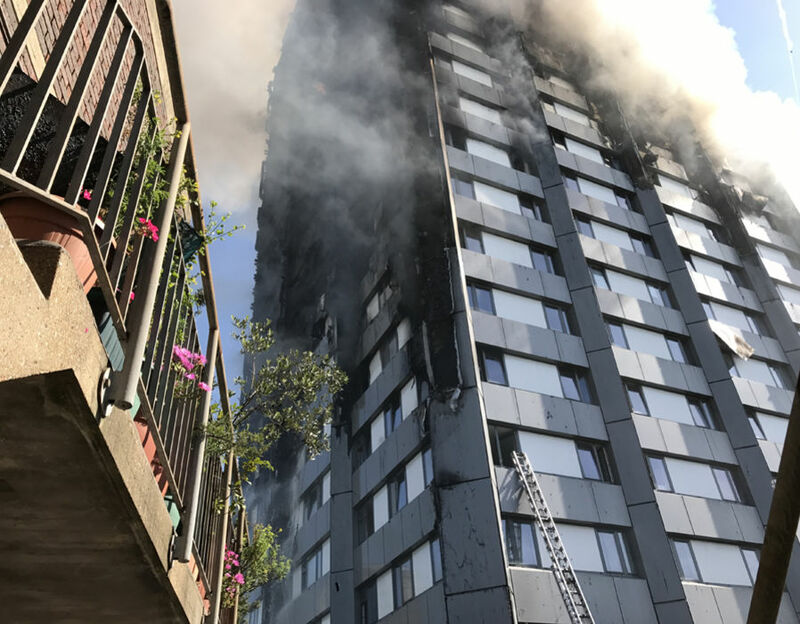 They also revealed that residents had been urged by the landlord and council in newsletters and by notices to stay in their flats in the event of a fire. "the Grenfell Action Group firmly believe that only a catastrophic event will expose the ineptitude and incompetence of our landlord". lets hope that's not a self fulfilled prophecy. Read a headline that lives have been lost..so its just a horrible numbers game. Internal dry riser not working ..no chance for fire fighters. It's only just been redeveloped at a cost of �10m the architects must be getting worried. After previous high rise flats going up like torches the regulations are quite tough. They say it is now believed that an exploding fridge could have been the cause. How can they come up with that unless the occupant of that flat has survived and told the authorities. According to an interview I saw Dilly that's what happened. This guy said he lived in same floor as the guy and he told him when they both out his fridge exploded and he phoned 999 straight away. The short time it took for that fire to take hold I think it's got to be down to plastic cladding on outside. Who thought of that great idea. Doh!!!! The new cladding does seems to be partly to blame, while the outer surface has to be fire resistant, the internal insulation/filler doesn't. This is probably fine for a normal house but it has obvious consequences for a high rise. A terrible tragedy granny, instructions from the fire brigade service is to evacuate immediately, I cant see anyone in their right mind telling people in high rise to stay in their flats, they have got no hope of escape via the windows or balconies because of the height factor, as regards the landlord I would assume it would be the local authority and they would have to follow strict regulations as regards arrangements and procedures in the event of fire. We can probably see what is likely to happen....the blame game ! I have been out all day so just catching up. The most important are the people at the moment, blame can come much later on, but what these people who have escaped and the eye witnesses have experienced, must be beyond understanding. I don't know how the interviewees have even been able to speak and give their testimonies. The newscasters seem to have been in their faces all day, from the number of interviews that have been done. Another tragedy to give BBC a further week or more to dwell on. I cannot imagine how it must have been to see people in windows particularly children, even a movie couldn't compare. So very, very sad. It seems to take away the differences, as we all share the same blood groups. The sooner they prevent this happening again the better, blame should have started before they were built/modified. Last edited by fish5133; 14th Jun 2017 8:23pm. I think this picture shows what didn't help, it wasn't the cladding it is the embellishments.